ArduinoOixed has 3 USB Ports and an integrated Arduino Nano circuit and thereby allows you to seriously enhance the usefulness of Raspberry Pi Zero. It comes with an On board LED, a Push Button Input and a Thermistor that can be used for temperature measurement. The Arduino functionality is implemented on ATMEGA328 chip and its Pins come on two Headers of 10 pin each. Arduinopixed builds upon our earlier successful projects including Hubpixed and HubSerialixed. It addressed two of the major concerns of Raspberry Pi Zero users - Lack of useful USB ports and lack of A/D Converters. The key design element is the pogo pin that connects ArduinoPixed to the Raspberry Pi Zero using 4 provided Pogo Pins. There is no wire, cabling or soldering required. 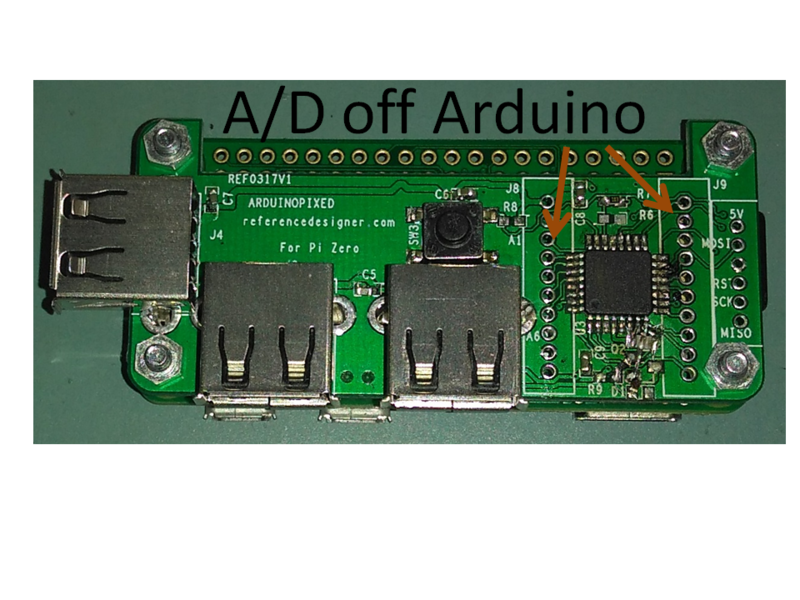 ArduinoPixed can be used as an Educational tool, where you can use a Keyboard and Mouse to hook to Pi Zero and ArduinoPixed to start learning programming. You will not only be able to learn C using Pi Zero, you can actually write programs to check real world sensors, like smoke detectors. ArduinoPixed is priced competitively at $21 for early birds at Kickstarter ( Normal price is $23 each). If you buy in bulk it is $42 for a pack of two ( and $95 for a pack of 5). Q1 - One of the kickstarter enthusiast asked - If I connect it with Raspberry Pi zero W, would the Arduino be able to send data to cloud over WiFi (of R Pi)? 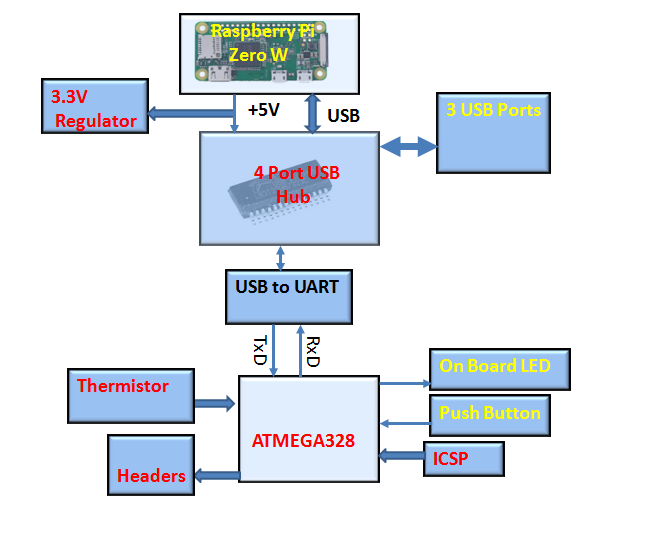 Answer - The way it can potentially work is - Arduino will be throwing the data to Raspberry Pi on its Serial Port. As soon as Pi Zero W receives it, it can upload it to cloud. If I get time I will try some demo of it.